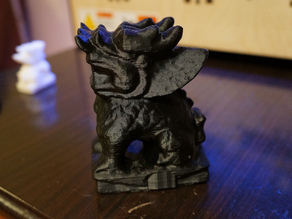 Printed in Laywoo-D3 for added Fengshui. ;-) thanks Brienhomer for great scan. Laywoo-D3 the wooden feel finishing is special. Amazing texture.